Dr.-Ing. Sebastian Feuerstack is a senior researcher at OFFIS e.V, an associated institute of the Carl von Ossietzky University in Oldenburg, Germany. His primary research interest is about model-based design, specification and evaluation of Human Machine Interfaces and covers the disciplines of software engineering, human computer interaction, human factors, cognitive engineering and classic artificial intelligence. At OFFIS e.V. he is the group manager of the Cooperative Mobile Systems group, which focuses on the development and testing of automation systems in automotive and maritime applications. The group also operates the e-Maritime Integrated Reference Platform (eMIR), a platform which provides on the one hand a simulation environment for testing, validation and verification of e-Navigation solutions and on the other hand a physical test-bed equipped with several sensors monitoring the German North Sea Coast, a research boat and several portable and stationary ship bridge simulators. He is one of the principle investigators of the Interdisciplinary Research Center on Critical Systems Engineering for Socio-technical Systems. At the Carl von Ossietzky University in Oldenburg he lectures a course on Cognitive Engineering and a seminar about Cognitive Processes, which is targeted at graduate students from computer science and psychology. The Human Efficiency Evaluator (HEE), a tool that simulates humans based on psychological and physiological plausible models to evaluate their monitoring behavior, cognitive workload and task performance already in an early design phase – even before a prototype has been built. The Multimodal Interaction Framework (MINT), a framework that enables the design and specification of multimodal interaction techniques and the model-based execution of multimodal web-applications, combining hand gestures and augmented reality with modern web technologies. The Multi-Access Service Platform (MASP), a model-based runtime environment that closes the gap between model-based design and runtime of multimodal applications and enabled the first time seamless services provision. Such interactive services are able to adapt their layout, interaction modalities and also to distribute their interfaces based on the current context of the user. 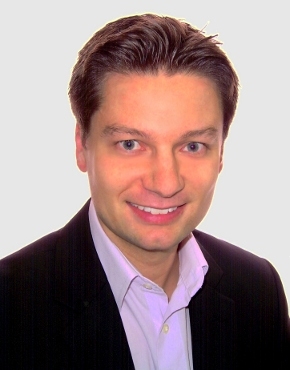 From 2016 to 2018 he participated the EU Horizon 2020 AutoMate project, which is working on a novel driver-automation interaction and cooperation concept based on viewing and designing the automation as the driver’s transparent and comprehensible cooperative companion or teammate with a total investment of nearly 5 million euros. During the project he was invited to the High-End Foreign Experts program of the Tongji University in Shanghai to lecture about HMI design and evaluation methods by Prof. Fang You and Prof. Jian-Min Wang of the Arts and Media department. Between 2013 and 2016 he coordinated the HoliDes Artemis EU project that involves 31 partners from industry and science of seven European countries. The project total investment was around 23 million euros to address the development and qualification of Adaptive Cooperative Human-Machine Systems (AdCoS) to enhance usability and safety as well as to boost the confidence of human operators. Between 2010 and 2016 he served as an invited expert for the W3C Model-based User Interface (MBUI) group that develops standards as a basis for interoperability across authoring tools for context aware user interfaces for Web-based interactive applications and for the W3C the Multimodal Interaction (MMI) Working Group, which aim is to provide standards that will enable interaction using a wide variety of modalities. In 2009 he earned a three year scholarship by the German Research Foundation (DFG) to conduct basic research about dialogue modeling for multimodal applications as a postdoctoral research fellow at the Universidade Federal de São Carlos (UFSCar) in São Paulo in Brazil. The project was also supported by professors from the Universidade de São Paulo (USP), and by the Faber Ludens Institute for interaction design in Curitiba, Brazil. In 2009 he studied the portuguese language at the Fundação Armando Alvares Penteado (FAAP) university in São Paulo, Bazil after he has finished his Ph.D. thesis about a method for user-centered and model-based development of user interfaces in the DAI-Labor at the Technische Universitaet Berlin (TUB) in 2008. There he was involved as a project manager in the Service-Centric Home Project (SerCHo) that has been selected as one of eleven winning projects by the German Federal Ministry of Economics and Technology from over 140 project proposals that have been submitted. The SerCHo project is supported by the next generation media programme focusing on the sector of new technologies and ubiquitous computing. After the SerCHo project he initiated the iZConnected initiative in the end of 2008 that connects several major companies in the areas of consumer electronics, healthcare, energy production, telecommunication, and household appliances with small- and medium sized companies to realize and test platforms as well as to support standards to push services in smart home environments. He started his research career in November 2002 after he had finished his diploma thesis (german MA). The subject of his diploma thesis was An Architecture for Ubiquitous Service Access in Distributed Systems, which he has written during a visit of the Deutsche Telekom T-Nova North America, California. In the end of 2003 he was first working in a team of four researchers investigating in communication protocols for intelligent software agents. There he participated the Agentcities network and connected the JIAC software agent platform to the world-spanning software agent network supporting the FIPA standard. The development of the JIAC software agent platform was supported by the Deutsche Telekom AG. After that he successfully proposed the Seamless Home Services project and lead a small team of researchers and graduate students to develop services that can be accessed in intelligent home environment. Results include a voice-enabled PVR, an intelligent and personalized news-paper service and a home automation service all tightly integrated and accessible via voice and various end-devices to form a home portal. The Seamless Home Services Project has been supported T-Com and T-Systems business parts of the Deutsche Telekom AG. During working on smart services targeted to home environments he proposed the Video Follows project, which implements a VoIP communication scenario enabling seamless media hand-overs between various typical entertainment devices like IP-enabled TVs and radios during a video-phone call following the talking user through his home.